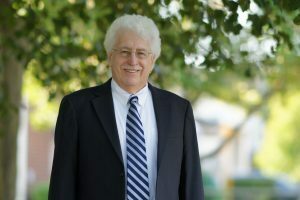 Rep. John Kowalko (D-Newark South) is reviving his attempts to wrangle Delaware’s publicly affiliated universities under the state’s public records laws. Right now, University of Delaware and Delaware State University only have to comply with the Freedom of Information Act or FOIA if it involves public money. “They should be open up to FOIA because they are a public entity, because they receive public funds and that is the definition of a public entity in our law, in our constitution,” he said. Professor and student records would be exempt from a public records search under the proposal, as well as scholarly research. Kowalko has tried for years to open up UD and DSU, but his bills have rarely reached the floor on such matters. A bill filed last year by Sen. Dave Sokola (D-Newark) that would’ve dubbed subcommittees of each university’s board of trustees as public bodies, but it failed in the Senate by one vote. Such a strategy to eliminate exemptions in a piecemeal way, Kowalko says, isn’t the right tactic. Andrea Boyle, a UD spokeswoman, says the university hasn’t had a chance to review the bill filed last week. In a statement, Boyle said, “The University is absolutely committed to being transparent with every state dollar it spends,” noting a new FOIA website that includes financial information and board of trustees meeting materials. A representative from DSU didn’t return a request for comment.